Travel agency for the Wizarding World, Globus Mundi is your destination for travel accessories and Hogwarts Express merchandise. 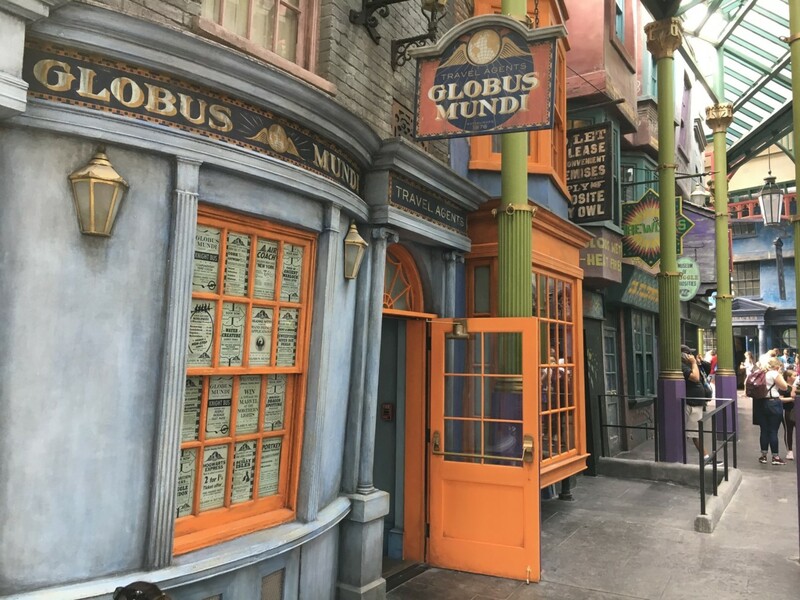 The newest shop inside of Diagon Alley, Globus Mundi opened October of 2018 offering some unique items featuring the branding of the fictional travel agency as well as Hogwarts Express and other travel related items. Some of the exclusive merchandise includes a leather bound passport cover, travel cup, sweatshirt, t-shirt, keychains, pins, and luggage tags. 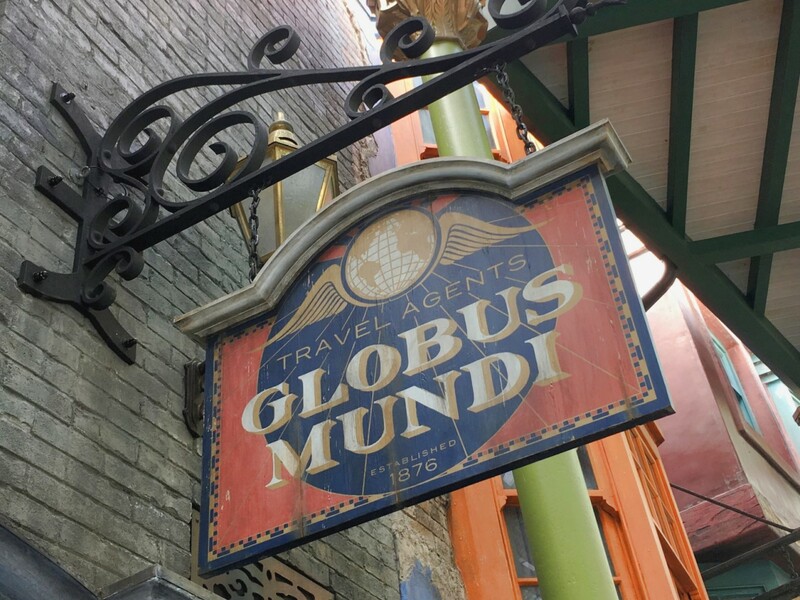 Originally, a Globus Mundi sign was hanging above one of the shops when Diagon Alley first opened. 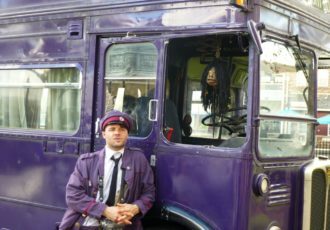 The company name had previously never appeared in any of the Harry Potter stories, but was approved to appear in the new theme park land by JK Rowling. Later, a real store based on the name was built. It was constructed using a disused wand show room inside of Ollivanders, with a new Carkitt Market facing entry. You can find a hidden nod to MinaLima, the graphic design company behind most of the packaging designs from the Wizarding World and Harry Potter films in the store. The various clocks on the wall include different timezones including Paris, London, and Tokyo. Among these are two clocks featuring Mina and Lima time!